Coach Nate Oats and the staff at Buffalo have been adamant about continuing the Canadian line of prospects that have come through Buffalo. 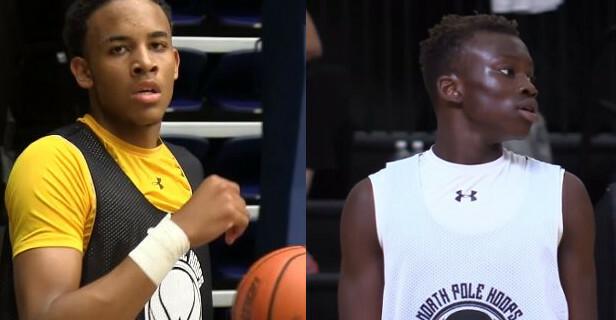 This weekend, Mississauga’s Sean Miller-Moore and Calgary, Alberta’s Emmanuel Andrew (Kuac) will be on campus for an official visit. Miller-Moore is wrapping up his JUCO career at Moberly Area Community College where he averaged 10 points and 6.5 rebounds per game last season. Kùac wraps up Kearns High in Salt Lake City, Utah. The Buffalo Bulls had great success with Jarryn Skeete and Rodell Wigginton during their tenure across the border. Both Skeete and Wigginton moved on to play professionally. Coach Oats has lead the team to some big wins over the last few seasons, including one against Arizona in the 2017-2018 campaign to get their first NCAA tournament win in school history. This squad has consistently been one of the best off ball screen setting teams. Based off of Miller-Moore and Kuac’s style of play, this is an offense where these players thrive in off ball action to free them up for slashing opportunities. Both Canadians will be setting up other visits in the near future and are on the board of some major D1 programs. Halifax Rainmen Edge Quebec Kebs, Canadian Joey Haywood Pours in 20!